You want to give everyone on your list a special and personal gift this holiday season, but as we get closer to the big day you may be running out of time to do it all. I am here to help with a simple, but amazing, personalized gift for just about any man on your gift list. 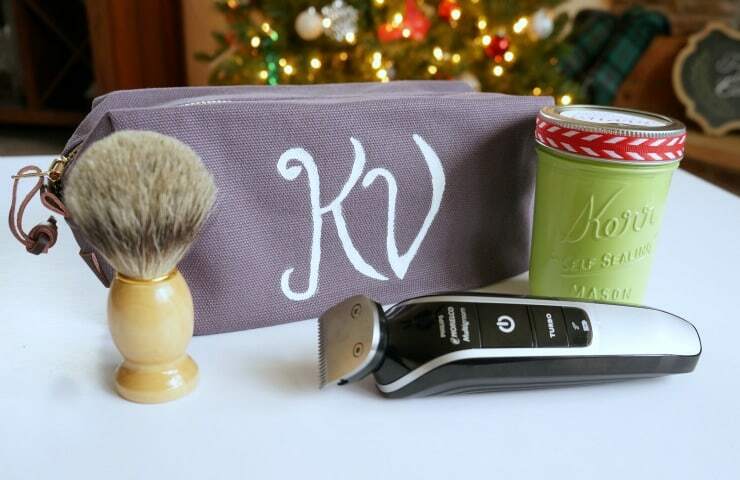 This personalized shaving kit is a gift you can customize for your man, dad, brother, uncle and more. Every guy wants to put his best face forward. This time of year with holiday parties, family photos, and lots of activities give your man a gift that will help him look and feel great. These 2 items are a great way to start this gift, they could even be given alone. This particular shaving kit is for my hubby so I chose to add homemade shaving cream and a shaving brush. I know he will use and love these items along with his grooming kit. You could add a bar of soap, cologne, or maybe some face care items like aftershave or moisturizer too. Just an extra item or two specific to the man you are creating this for. To personalize the bag, I started by typing my husband’s initials into a design software (you can use a word processing software too) then playing around with fonts until I found one I like. You could do one of two things here, print this out and use it as a stencil, or eye ball it and draw the monogram on your bag using chalk. I don’t have very good handwriting, but I find this technique of free-handing a design while I’m looking at it to be pretty effective. 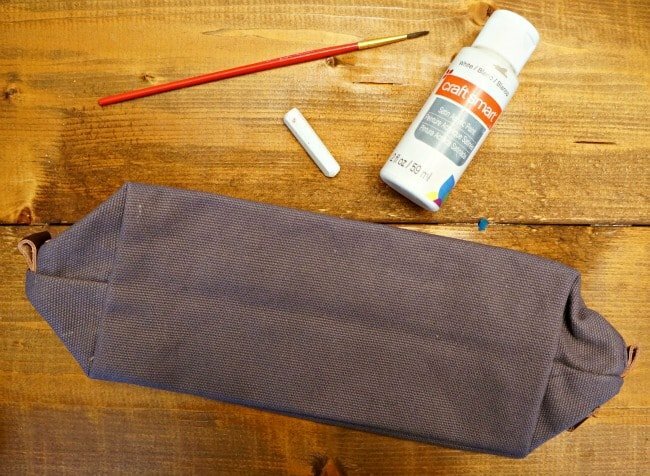 Using chalk, you can easily erase and start over if you need to. 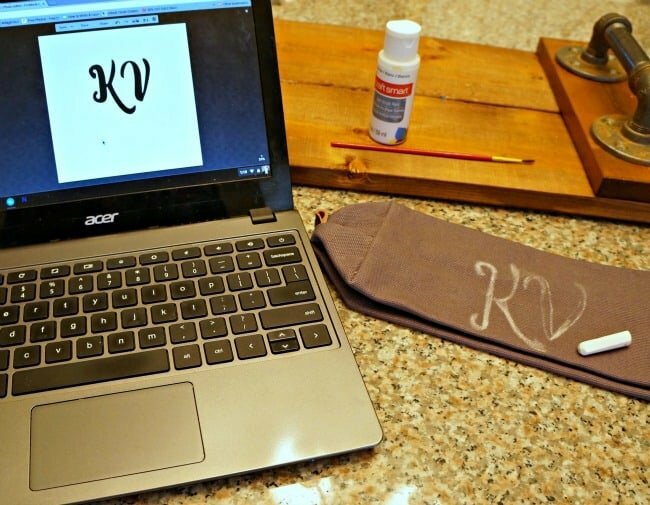 Once the monogram is just right, fill it in with white craft paint. Once the bag was dry I filled it with my gift items. 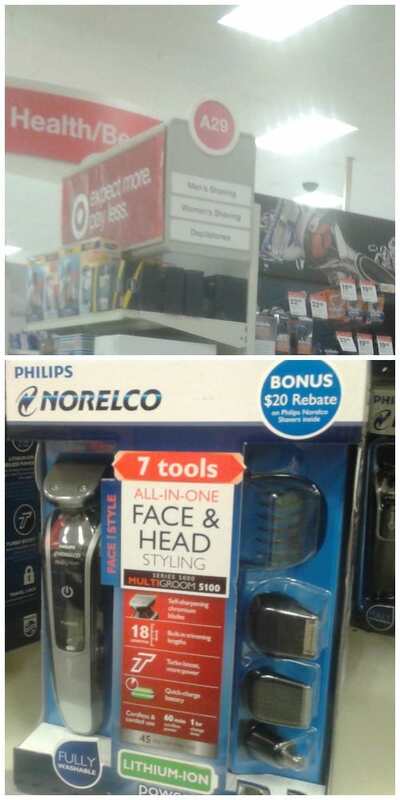 I chose the Philips Norelco Multigroom 5100 men’s grooming kit because it has everything my husband could want in one tool. Plus it’s fully washable and easy to use. I picked mine up at Target, where I did most of my Christmas shopping this year. My husband is going to love this gift and it’s really going to help him put his best face forward this holiday season, and into the new year. 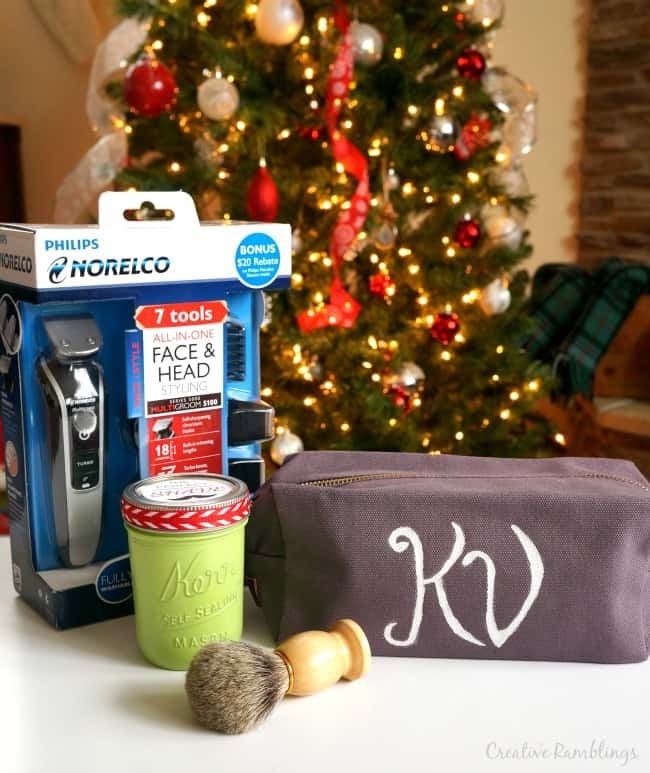 Norelco has a great lineup of shaving products, how would you gift one to the man in your life? 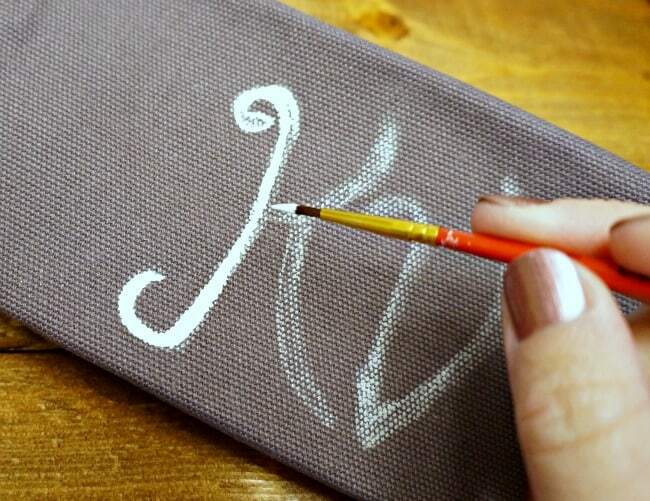 I LOVE how you made your own fancy initials on this bag! 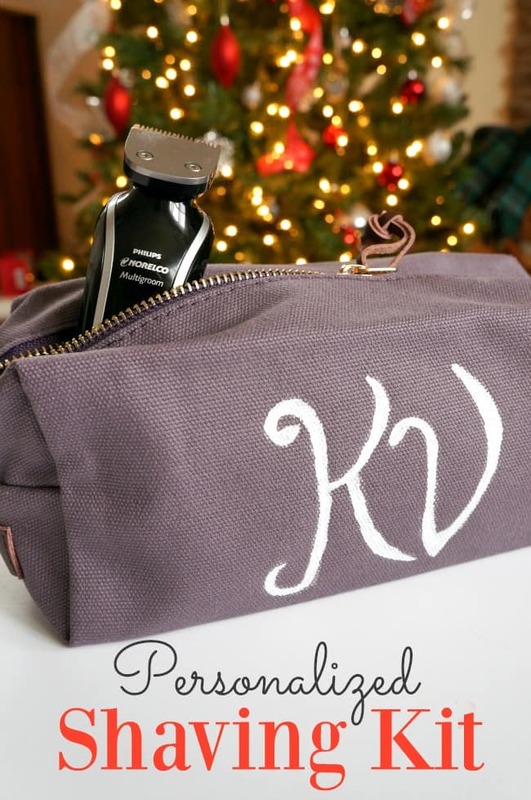 What a great way to add a personal touch to a gift! LOVE this! Custom bags can be so expensive! This is cute and savvy! Thanks Shelly, can’t beat a gift that looks great and doesn’t break the bank.